A Guam Quarter turned up in change lately. I'm glad that Guam got a quarter as one of the DC & Territorial series, which also includes DC, Puerto Rico, American Samoa, the USVI, and the Northern Marianas. But not US Minor Outlying Islands such as Navassa, home of goats but no people. Navassa also has an "informal" flag, according to FOTW Flags of the World. A completely uninspired design, if you asked me. This disk also appeared lately at our house, though it's been with us a long time. I just ran across it in an unexpected spot. 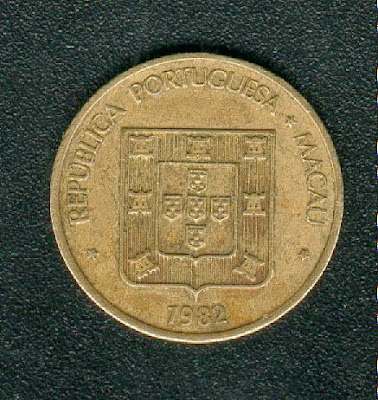 It's 10 avos, or one-tenth of a pataca, which is still the currency of the Macau Special Administrative Region, as it's styled now. I got it in change in Macao in September 1990 and it's been in one container or another in my vicinity since then, at least until small hands got a hold of the coin sometime and put it our coffee table drawer. Cheap oddities made by political entities that don't exist any more, or denominations that don't exist any more; that's what I like when it comes to numismatics. 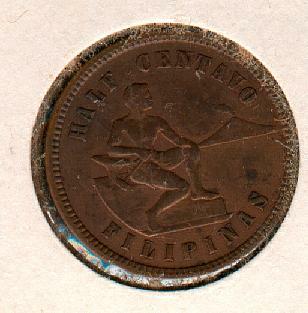 Such as a half-centavo from the U.S. Philippines. 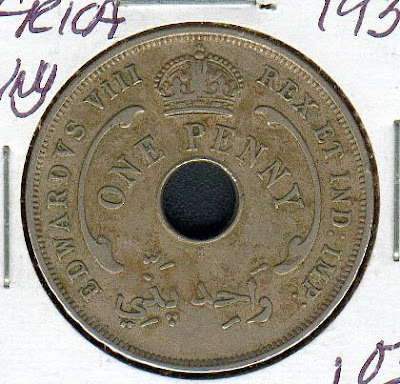 A British West Africa penny. Note the Arabic script. 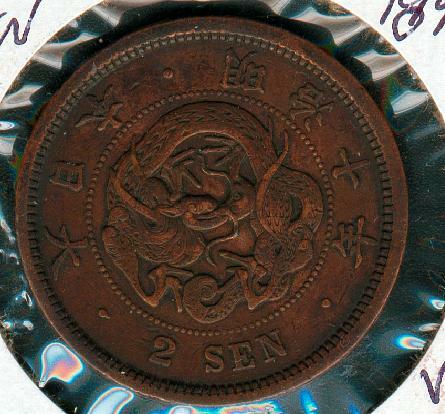 And two sen from Meiji Japan. 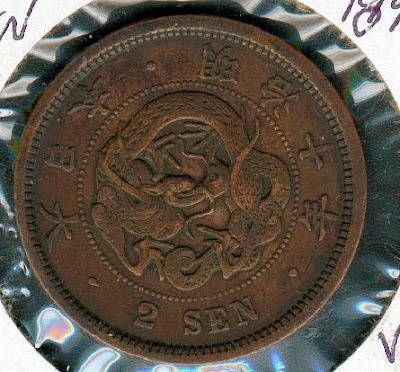 Not many people realize it, but the yen was originally divided into 100 sen, a denomination about as useful as a mill coin in our time would be, when 100 yen isn't quite enough to buy you a drink out of a vending machine.